1. Greed – what is your most inexpensive beauty item & what is the most expensive? 2. 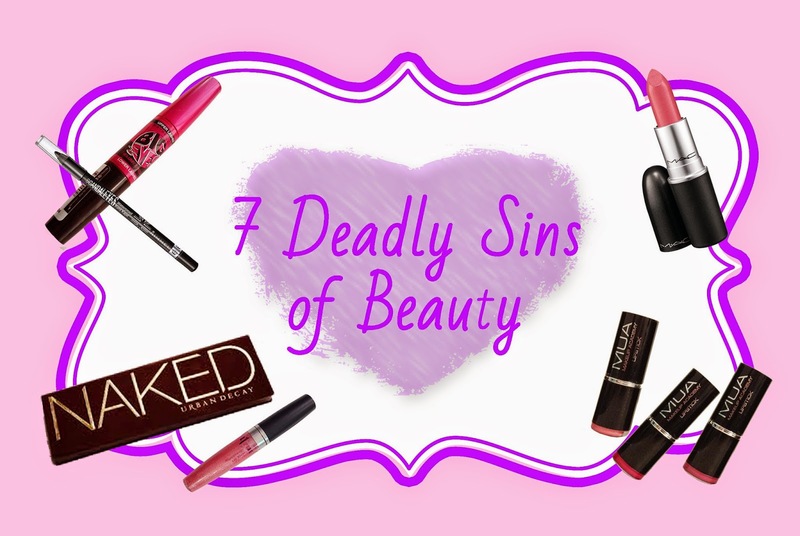 Wrath – what beauty products do you have a love/hate relationship with? Most definitely 100%, eyeliner! As I mentioned in my last post My Top 3 Eyeliners. 4. Sloth – what beauty products do you neglect due to laziness? I guess bronzer, because I've never really got round to trying out and seeing how it would look on me, I keep thinking I must try it someday! 5. Pride – what beauty product gives you the most self confidence? Mascara, I just love the way it can transform your face. Eyes are the windows to the soul after all. A lovely smile with nice clean teeth and gorgeous eyes. 7. Envy – What items would you most like to receive as a gift? Makeup-wise, I would have to say any MAC lipstick, or any MAC product come to think of it because I would love to own some of it and It's not only a little out of my price range but it's also really hard to get in my local area. I definitely agree with the mascara giving confidence and eyeliner love hate! I love eyeliner but mine always runs/smudges part way through my day! I need to replace my black eyeshadow! thanks for the tip! Hello! I really like your responses to this tag, I can definitely relate with the mascara giving me more confidence, I think that would be the product I would have on if I could only wear one type of makeup product for the rest of my life. Heehee. Also, I followed! I like how you don't only focus on only one theme for your blog and you give out a variety of post topics for your viewers. I'm new to blogging and I just created my blog about two weeks ago. I'd love it if you checked out my blog and maybe followed back if its worth. I also take in any advice, tips, suggestions, etc. Mary, thank you SO much for your lovely comments :-D Yes I love to write about lots of different things because I'm so interested in many different things, not just makeup and I want to be able to share my thoughts with whoever would like to listen!